Education and academia is often a really difficult place to navigate as a marginalized person, particularly as a person of color (although there are other issues!). And there have been plenty of student protests over the past few issues calling out issues like racism, heterosexism, and many types of microaggressions. So today I’m going to address some of the protests that have happened over the past few years. This protest and student movement is actually from a while back – it happened in February and March 2013. But it was started when the president of the small Catholic school made some comments about how if professors and faculty members were out and public as being LGBT, there would be trouble. Many students came together to protest not only the “Don’t Ask Don’t Tell” climate of the school but also the fact that sexual orientation and gender identity weren’t included in the university’s non discrimination policy. Sexual orientation (but not gender identity) was eventually added to the non discrimination policy the following September after a vote from the school’s Board of Regents. But issues of microaggressions regarding not only sexual orientation/gender identity but also race, class, and many other issues still exist. Doug Porter wrote about this University of Missouri protest that has called for the problematic aspects and issues of the campus be addressed and Eyder Peralta helped to clarify what’s happening at Mizzou. There have been many issues of racism on the campus for years and years as Shantell E Jamison writes about in one article. Protests regarding race relations have also recently happened at Yale University, particularly after a frat on campus turned away black students from a part and some responses to the university’s Intercultural Affairs Committee sent out Halloween advice to avoid wearing racist or problematic costumes were not particularly great. Erika Christakis is a faculty member and administrator at a student residence and wrote an email to students in her hall, saying that they should wear whatever they want regardless of the implications or racist connotations. There are so many other instances of racism, heterosexism, and many other -isms from these campuses and many many others from across the country. Students from Berkley High School in California, for example, walked out in protest over a racist message threatened violence. 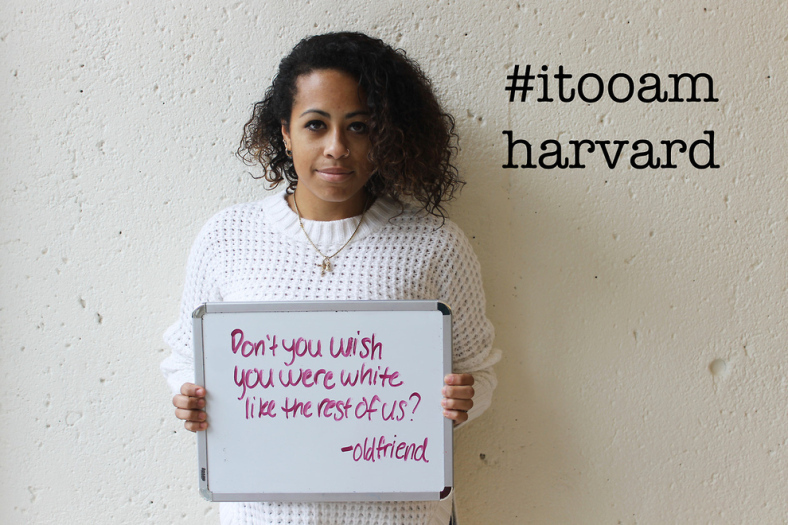 There are issues of microaggressions against students, faculty members, and other campus member from people in that same community, something that campaigns like I, Too, Am Harvard have called out. The issues that plague education and academia don’t exist in a vacuum. All these issues that are faced by schools and universities are larger social problems that exist in other contexts as well. I think more than anything it’s incredibly important to call out and protest these issues at an individual campus level because that does bring change and conversation. But it’s also important that we as a whole call out these issues in other contexts as well because all of the structural inequality that exists is connected.